Your family probably engaged in ‘intergenerational travel” long before the term was part of our lexicon. Maybe your grandparents took you out west to camp in Yellowstone National Park, or three generations boarded an Alaskan cruise ship or headed to Rome to visit churches and museums. Families of all ages have been traveling together forever, but like many other traditions, the practice has been upgraded to fit today’s family. Today’s older adults are living longer and more active lives after they retire. This gives them more time to travel with extended family members, many of whom live far away. An AAA survey in 2014 found that more than one-third (36 percent) of travelers were planning an intergenerational trip in the coming year, a 4 percent increase over the previous year. Here are 3 options for planning an intergenerational trip. Many families were first introduced to organized intergenerational travel through the not-for-profit Road Scholar. “Founded as Elderhostel in the summer of 1975, Road Scholar began as a learning program conceived to combine not-for-credit classes with inexpensive lodging for older adults,” according to its website. Today Road Scholar offers 5,500 learning adventures throughout the world, including a current list of 150 trips geared to traveling with a child or multiple children, ages 5 to 18. 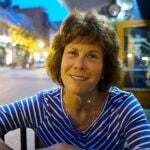 Road Scholar’s target audience is primarily baby boomers and beyond, men and women over 50 years of age. Living aboard a 110-foot schooner while touring the Puget Sound. The website makes it easy to review choices. The trip’s complete itinerary is listed, along with physical activity details, recommended level of activity and suggested reading list. AAA and other travel membership agencies can help you plan an intergenerational trip to fit ages, interests and budget. Tauck Bridges offers Family Adventures that include river cruising along the Seine River, from Paris to Normandy, and exploring California’s coast including San Francisco and Monterey Peninsula. The company also puts together “private departures,” which are guided trips designed just for your family. Maybe you’d rather plan your own family trip. If you have the time and patience, and are comfortable checking out the myriad of travel sites on the Internet, go for it. You will save money, and be able to put together a trip you and your loved ones want. 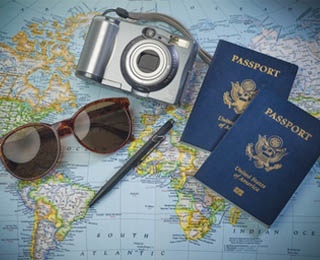 Whether you are considering a packaged family trip or designing your own, here are a few tips to keep in mind before you leave home. Decide who is paying for what. If it’s just you and your grandchildren, you probably will pick up the big bills, but what about souvenirs and gifts to bring home? If your grown children are also going, you might be splitting meals and other expenses. “Talk beforehand about how to handle the bills. Money is notorious for being a sticky family issue, so figuring out who pays for what must be done in advance. Otherwise, expect hurt feelings that will harden like a rock,” writes AARP columnist Samantha Brown. Talk to all the travelers about their interests and likes/dislikes before selecting a destination. How active do they want to be? How much indoor/outdoor activities should you include? Weather preference? Once a destination is selected, ask everyone to put together their ideal “must-do” list. You want the trip to be memorable for everyone, so get everyone’s input from start to finish. Schedule down time and alone time. Even the most congenial of families can get on each other’s nerves with too much togetherness. When traveling with multiple generations, consider renting two cars instead of one, scheduling a guilt-free day or night when everyone can do their own thing, and activity options throughout the trip, including sitting on the terrace reading a book. Spend time telling stories. This is a chance to share stories with future generations. Funny stories of your youth, blessings and challenges you encountered throughout your life, memories of your parents and siblings – the list is endless. And being away from daily routines and familiar settings is the perfect backdrop for you to open up. Want to learn more about benefits of intergenerational activites and more? 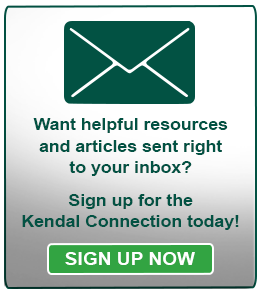 Sign up for our Kendal Connections email by entering your email into the right-hand side of our blog homepage.